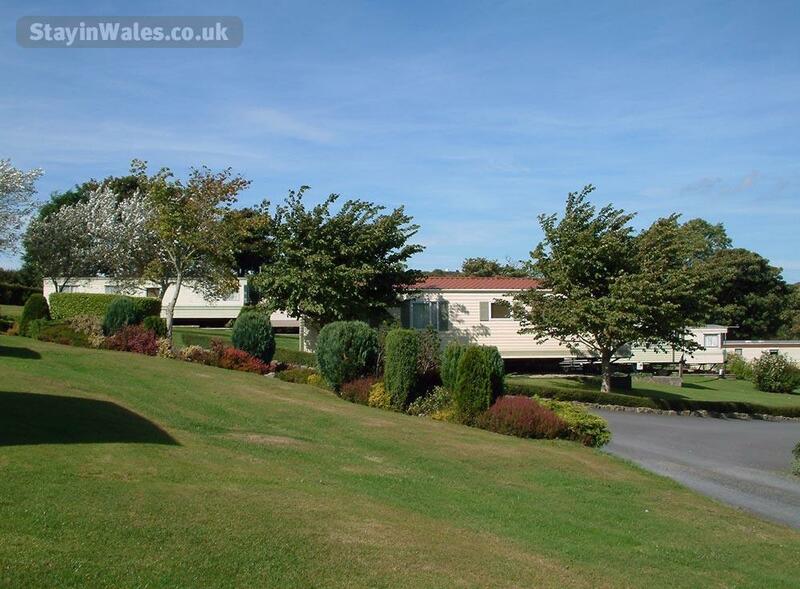 Dyffryn Bern Caravan Park is to the north east of Cardigan, a short distance from the spectacular National Trust beach of Penbryn which is renowned for its fine golden sands. 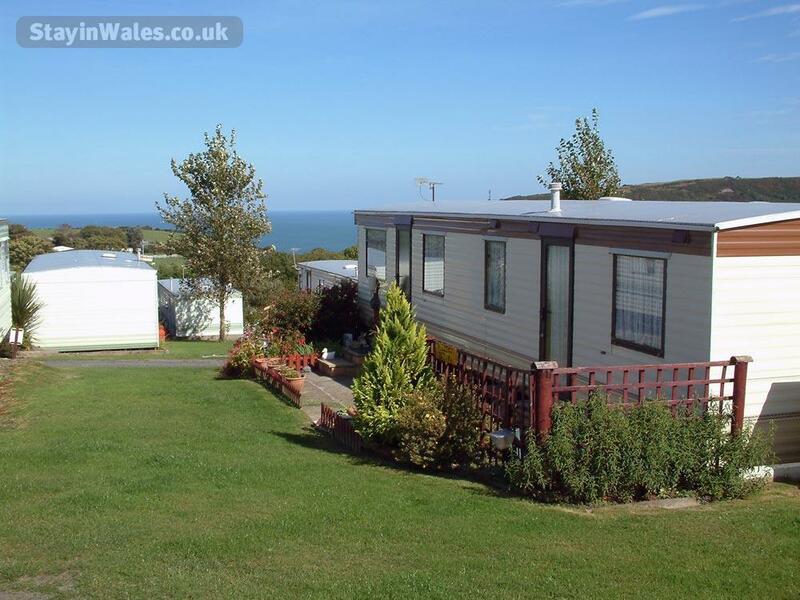 Set in carefully maintained gardens on gently sloping ground with spectacular views of Cardigan Bay, the site offers a selection of holiday caravans for weekly lets, each fully equipped with two or three bedrooms, fitted kitchen and shower. All are well prepared and spotlessly clean for your arrival. 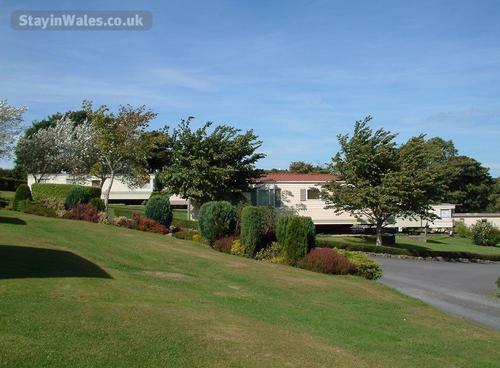 Also available are pitches for touring caravans and tents. 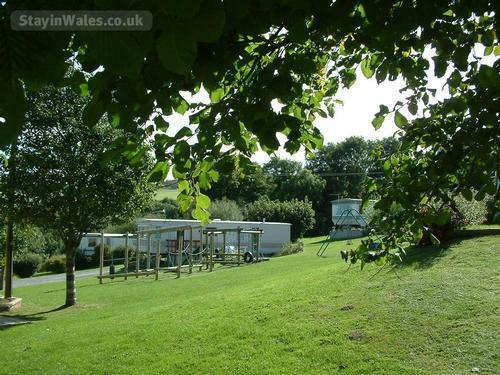 Site facilities include the conservatory reception/information, toddler play park and larger play area for the older ones, a laundry is on the park. Willow has views over the local countryside (35'x12') three bedrooms, sleeps six. The luxurious lounge has a gas fire, sprung seating, television and dvd player. All bedding - duvets, pillows, blankets - are provided, bed linen is not. Dogs are welcome. Laurel and Larch have views over the sea. Measuring 32' x 12', they have two bedrooms and sleep four. The lounge has a gas fire, tv and dvd player. 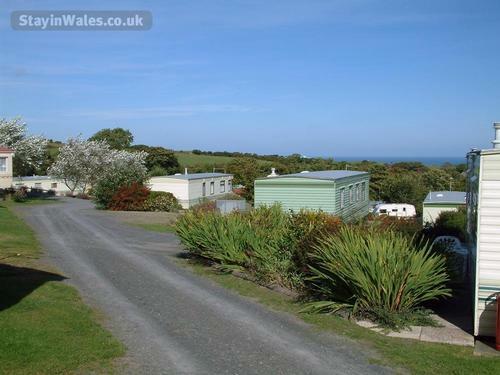 There is a fully equipped kitchen with fridge, gas cooker and microwave. The shower room/wc is heated. 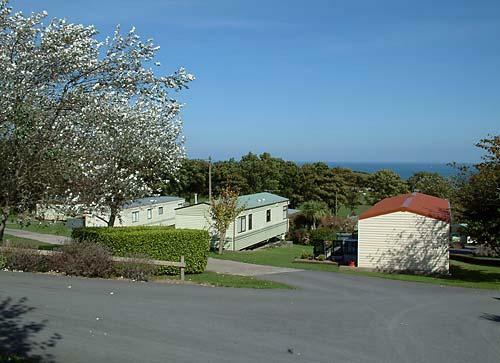 Bed linen is not provided although blankets and duvets are supplied. Dogs are welcome. 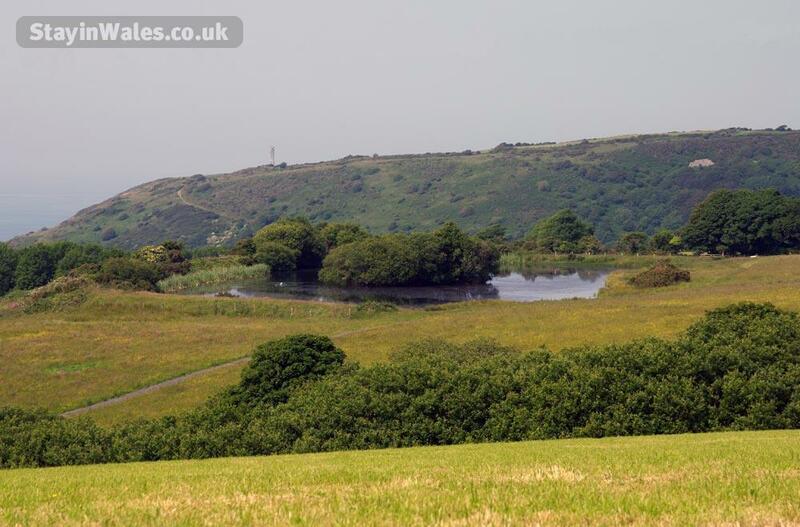 Oak has views over the sea. Measuring 30' x 10', it has two bedrooms and sleeps four. The lounge has a gas fire, tv and dvd player. 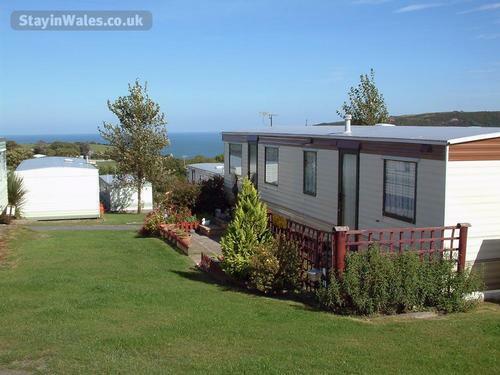 There is a fully equipped kitchen with fridge, gas cooker and microwave. The shower room/wc is heated. 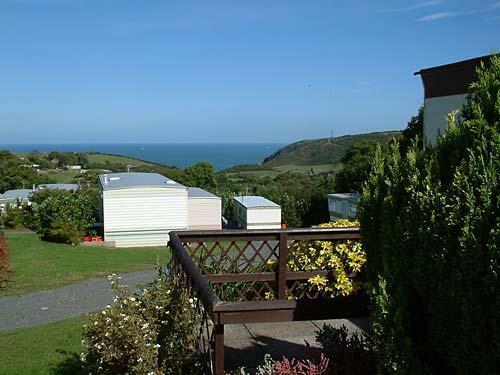 Bed linen is not provided although blankets and duvets are supplied. Dogs are welcome. 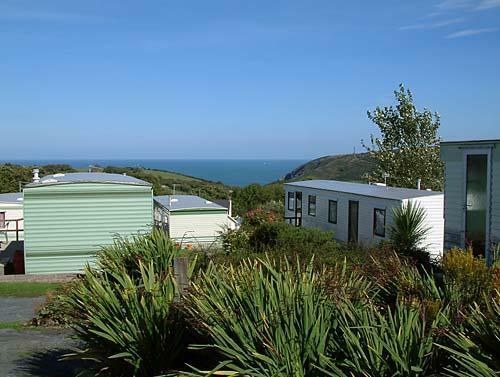 Woodland has views over the sea. Measuring 30' x 10', it has two bedrooms and sleeps four. The lounge has a gas fire, tv. There is a fully equipped kitchen with fridge, gas cooker and microwave. The shower room/wc is heated. Bed linen is not provided although blankets and duvets are supplied. Dogs are welcome.